« Such a great initiative is unstoppable! Supporting the local economy, reducing the carbon footprint of our transport operations, improving the quality of our meals, helping to educate our customers’ tastes; our efforts around the world are moving in the same direction. The French initiative ‘La Ferme Coralys’ is one of the most well-known examples of our efforts. The original idea was to build supply networks as close to our customers as possible. Today we have two such networks: ‘La Ferme des Pommereaux’ in the Paris region which sup- plies 40 establishments with tomatoes and zucchini, and ‘La Ferme de Ressins’ in the Roanne which supplies about 50 establishments with a much wider range including meat, dairy products and a variety of garden produce. In 2019, we are opening three new local supply networks even closer to our establishments in Haute-Loire, Drôme/Ardèche and Var/Alps. By supporting local economies we are raising awareness about better eating. For several years now the Group has prioritised local procurement approaches in all countries in which it operates, through short routes and the involvement of local communities. In Austria in particular, Newrest Wagons-Lits offers Austrian wines on board trains. The Zambian team collaborates with a local farm produce distribution organization. 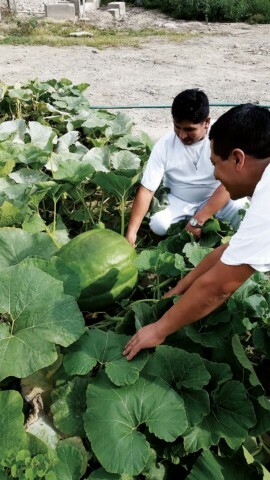 In Canada, Reunion and Polynesia, we source local products through cooperatives. Newrest is committed to the planet! Aware of the importance of sustainable development and aiming to reduce its CO2 footprint by 5% each year, Newrest fully respects all essential environmental values. With the aim of reducing waste, several approaches have been adopted by our teams around the world: selective sorting, waste weighing, the use of recyclable materials instead of plastics and the recycling of used oils. In Chile and in Croatia, an enzyme digester has even been installed to transform organic matter into clean water; in New Caledonia, our staff are using enzymatic detergents. Lastly, with the aim of halving our energy consumption and improving lighting and working conditions for our employees in nearly all our facilities around the world, Newrest has changed its lighting systems over to LED technology. 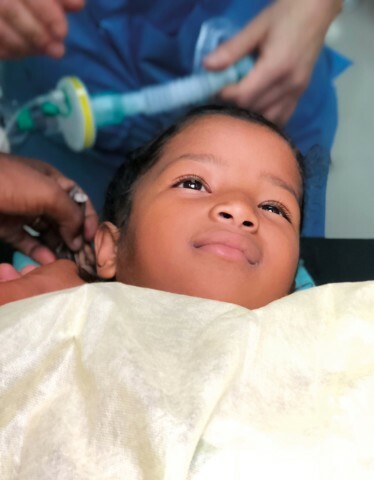 For several years now Newrest Group has been supporting the 'Entendre le monde' association in Madagascar, chaired by Dr. Bertrand Gardini, in its mission to screen and treat patients suffering from skull tumours of deafness in Tamatave. True to its values and societal and regional commitments, Newrest participates in research projects conducted by the “Toulouse Cancer Santé” Foundation (operating within the Oncopole of Toulouse) and is providing support for the project led by researcher, Jean Emmanuel Sarry and clinician, Christian Récher on acute myeloid leukemia. ISO 9001: 2015 is a standard that establishes requirements for a quality management system. It helps businesses and organizations become more efficient and increase customer satisfaction. This standard is based on a number of quality management principles, including strong customer focus, motivation and commitment from management, process approach and continuous improvement. ISO 22000: 2018 defines the requirements for a food safety management system. It explains the means an organization must implement to demonstrate its ability to control health risks to ensure that any food is safe. ISO 14001: 2015 specifies the requirements for an environmental management system that can be used by an organization to improve its environmental performance. It is based on the principle of continuous improvement of the environmental performance by controlling the impacts related to the activity of the company. Hazard Analysis Critical Control Point (HACCP) is a system that identifies, evaluates and controls significant hazards in food safety. The OHSAS 18001 standard indicates the method of setting up a management of health and safety at work. The goal is to achieve better risk management to reduce the number of accidents and improve the working conditions of employees.